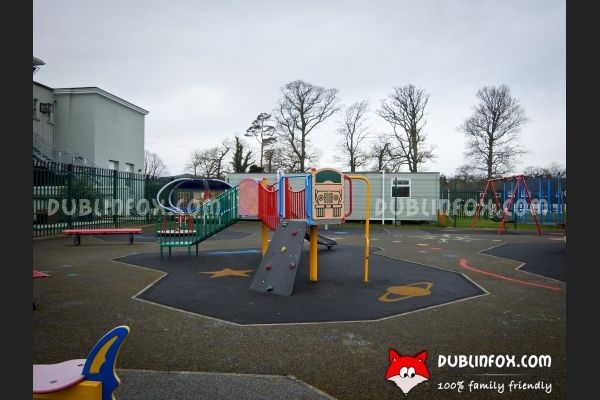 The playground in Rathsallagh Park near Shanganagh Park House Community Centre is a small one. It is suitable for toddlers and older kids alike. 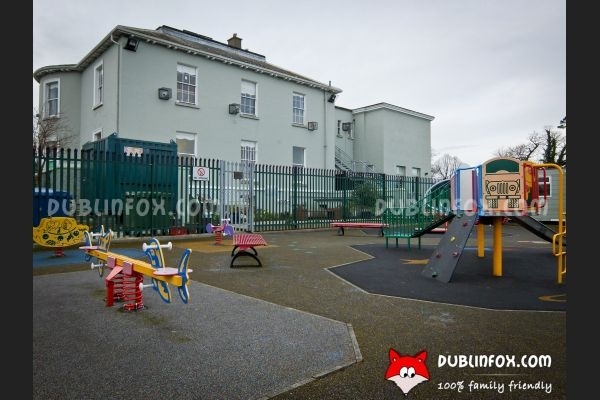 Unfortunately when we visited the place on a weekday morning, the gate of the playground was closed, so we could not enter. 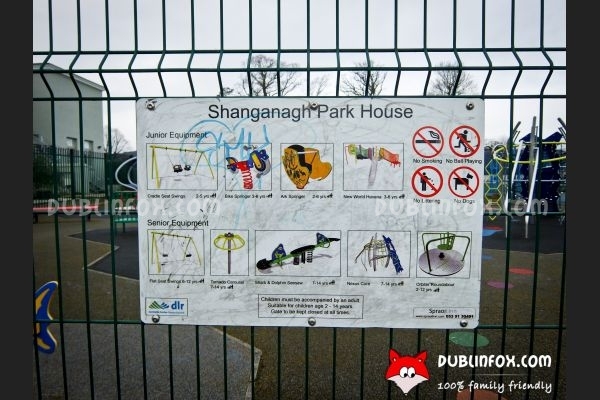 The opening times were not displayed anywhere, so it is not easy to decide when to return if we want to explore the playground a bit more. 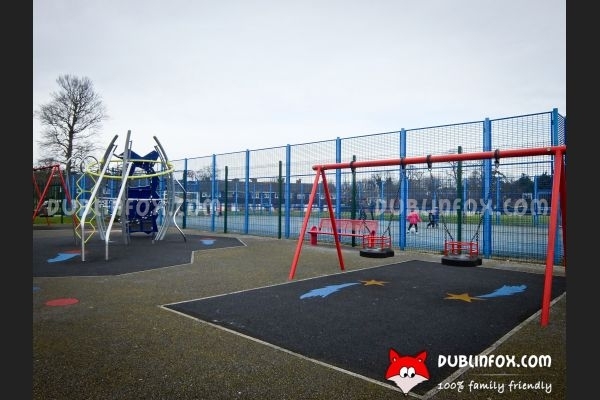 Next to the playground there is a fenced football pitch.